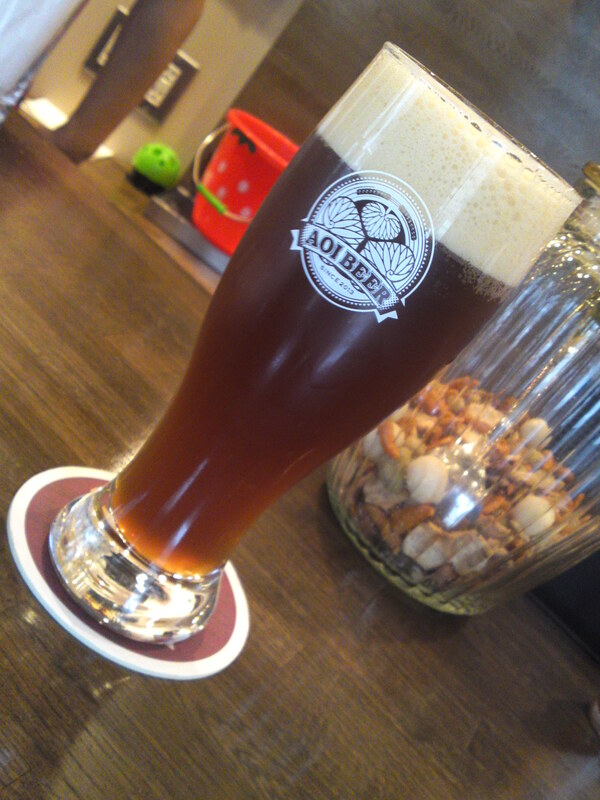 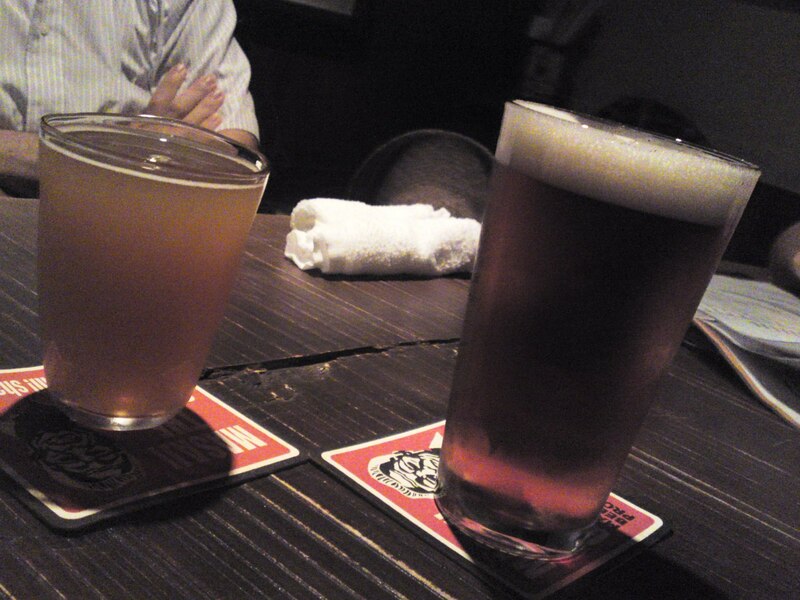 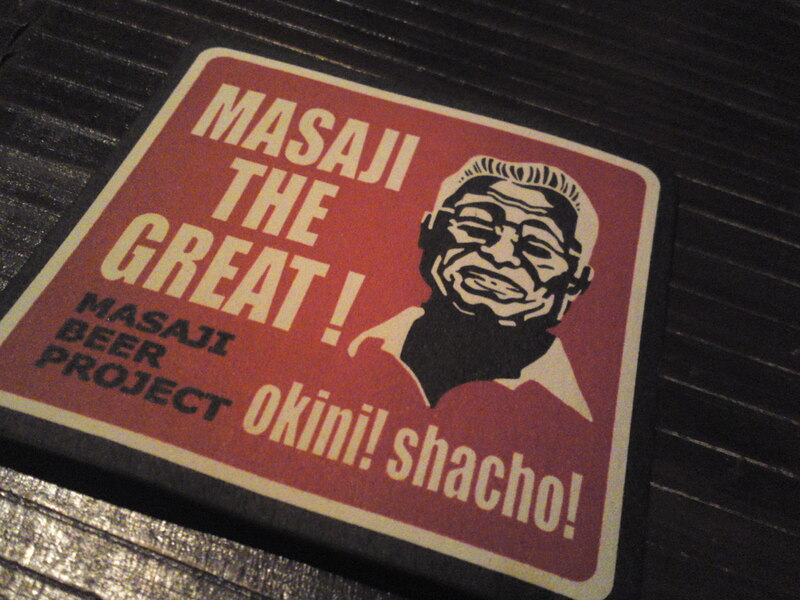 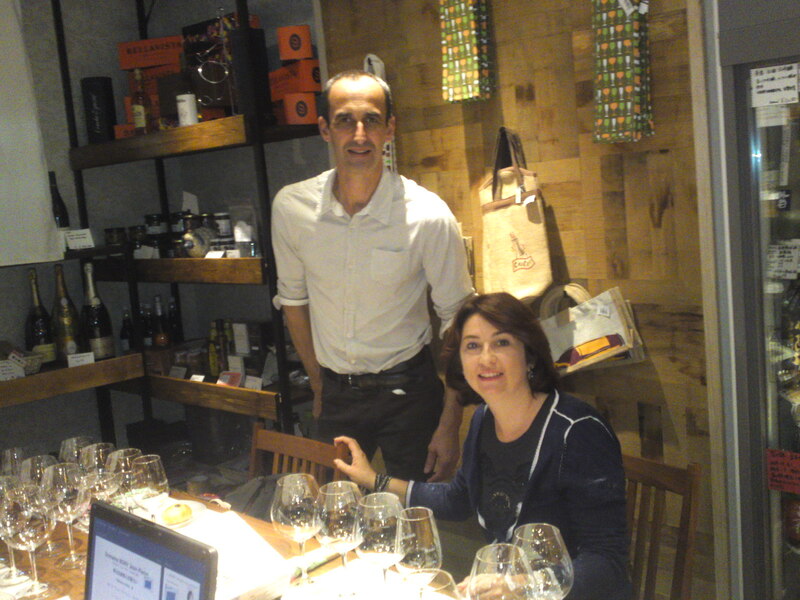 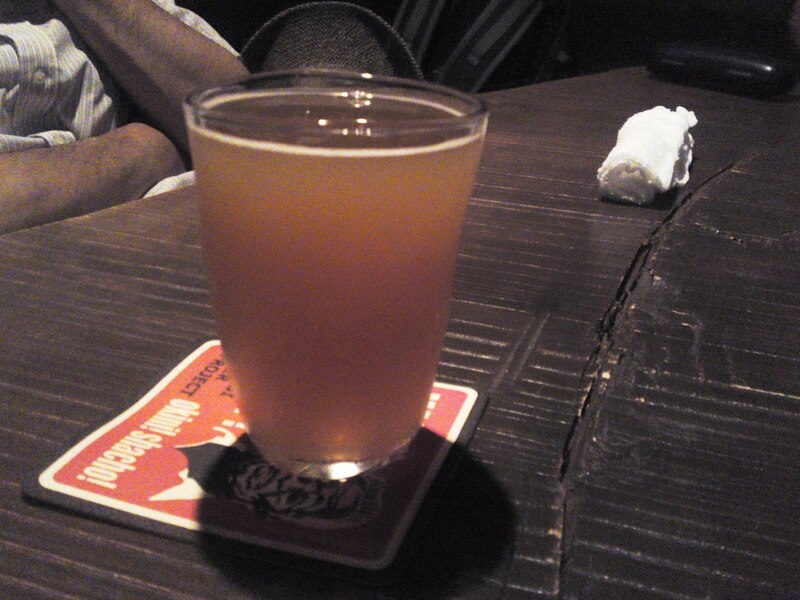 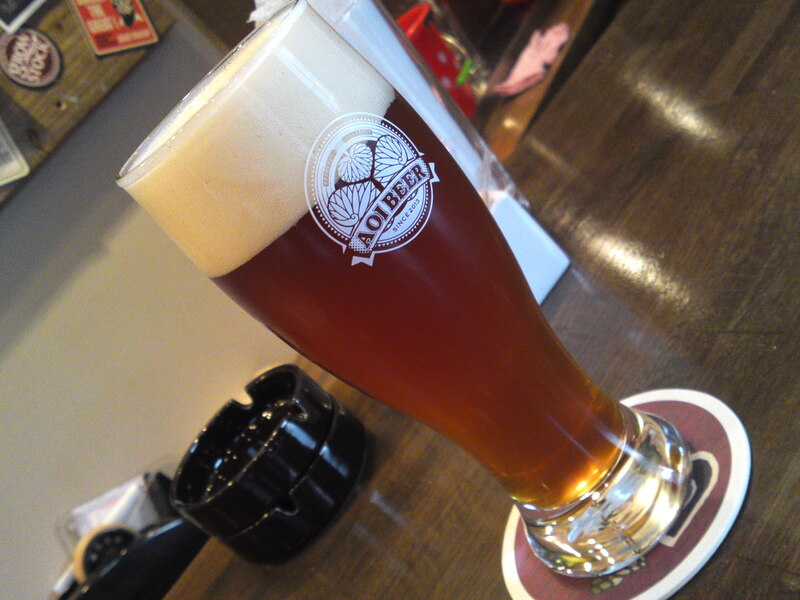 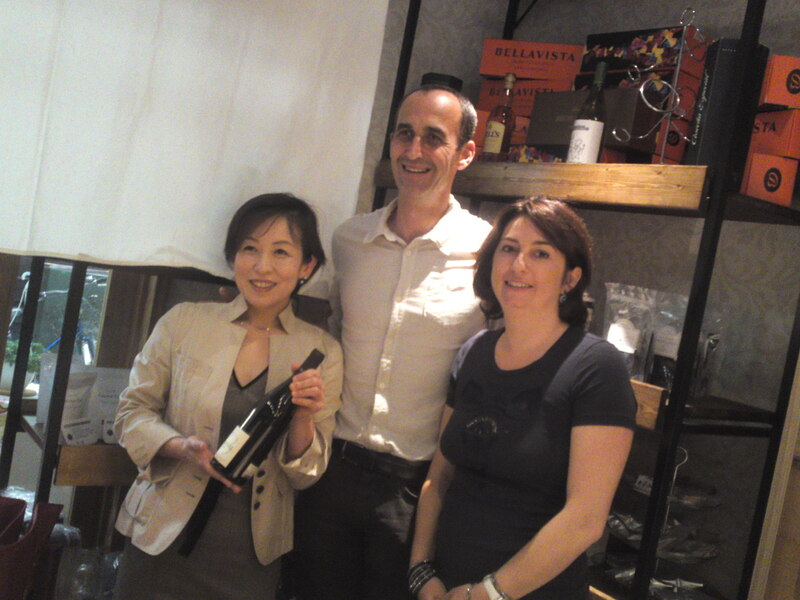 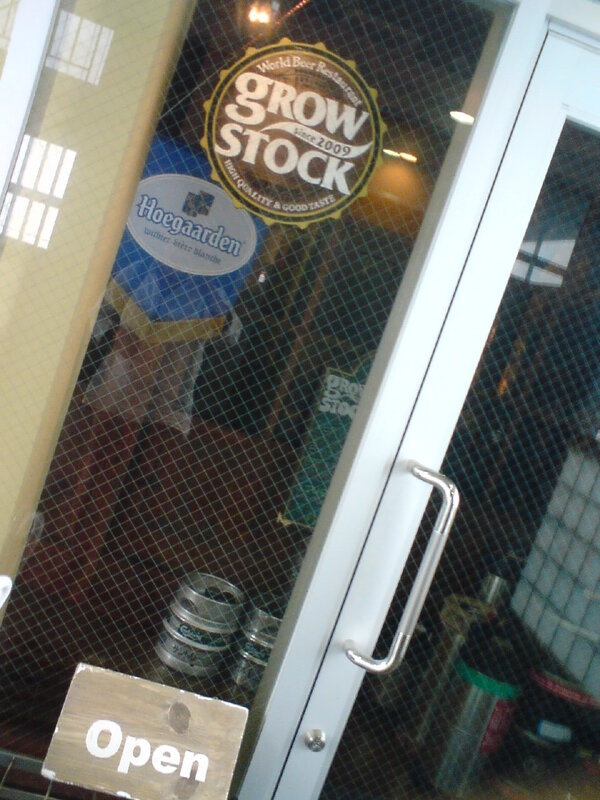 Shizuoka Beer: Naoki Mando and Aoi Beer Brewery in Shizuoka City! 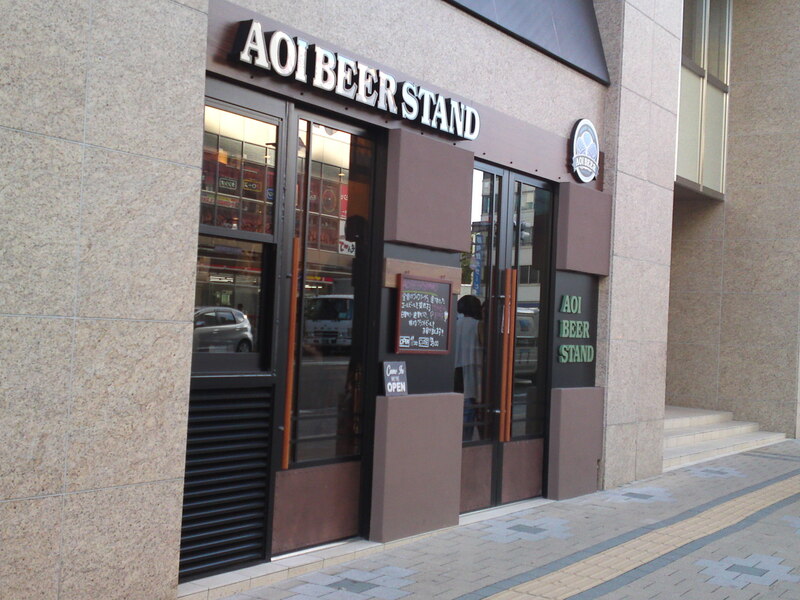 As I mentioned in my first report of the newest standing bar in Shizuoka City, namely Aoi Beer Stand, his owner, Naoki Mando/満藤直樹さん, will open the newest beer brewery/microbrewery in Shizuoka Prefecture, the 11th, by April 2014! 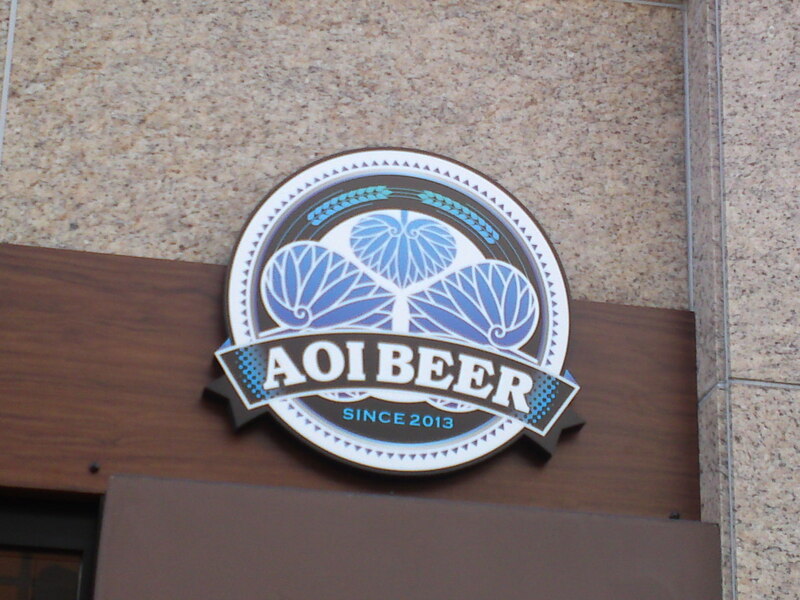 First of all, why the name “Aoi”? 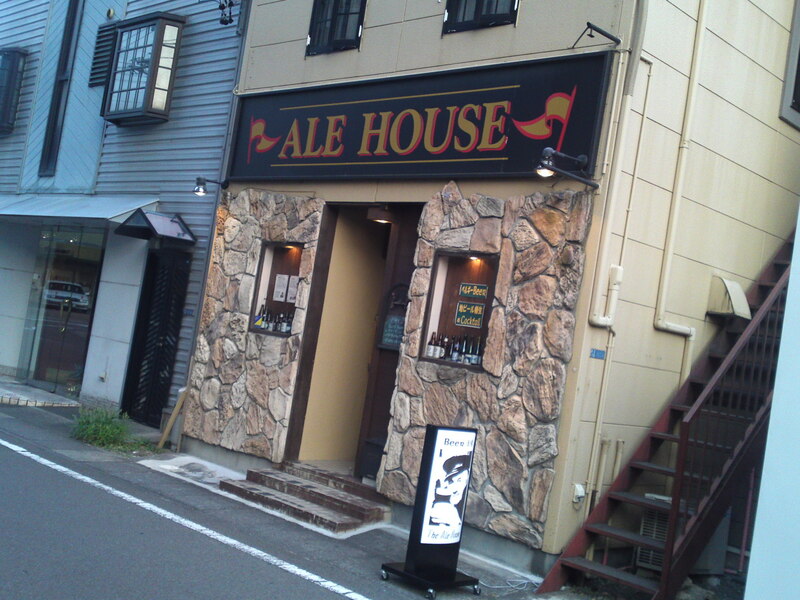 Well, the address is Aoi Ku, and “Aoi/葵” means “Hollyhock” in Japanese, whose leaves are represented on the family crest of Tokugawa Ieyasu who retired to shizuoka City, then Sumpu, at the beginning of the 16th Century! 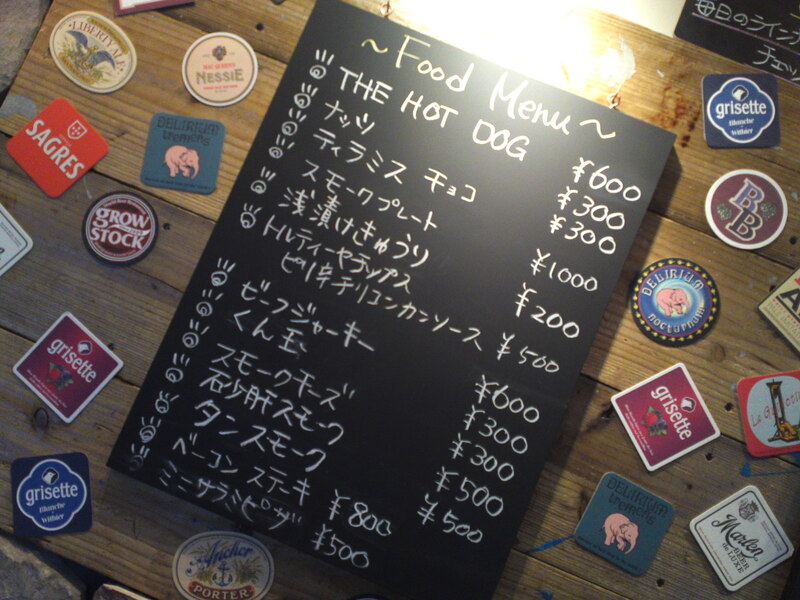 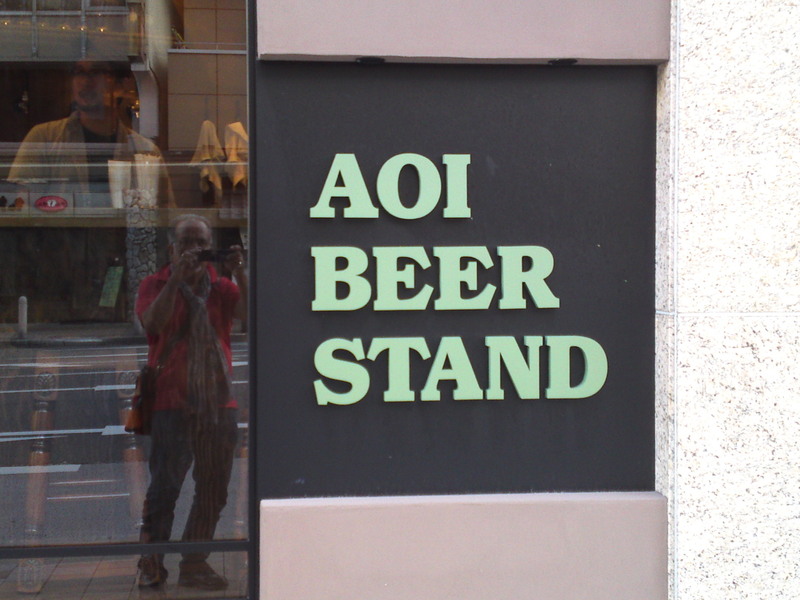 The ever-changing craft beer menu at Aoi Beer Stand! 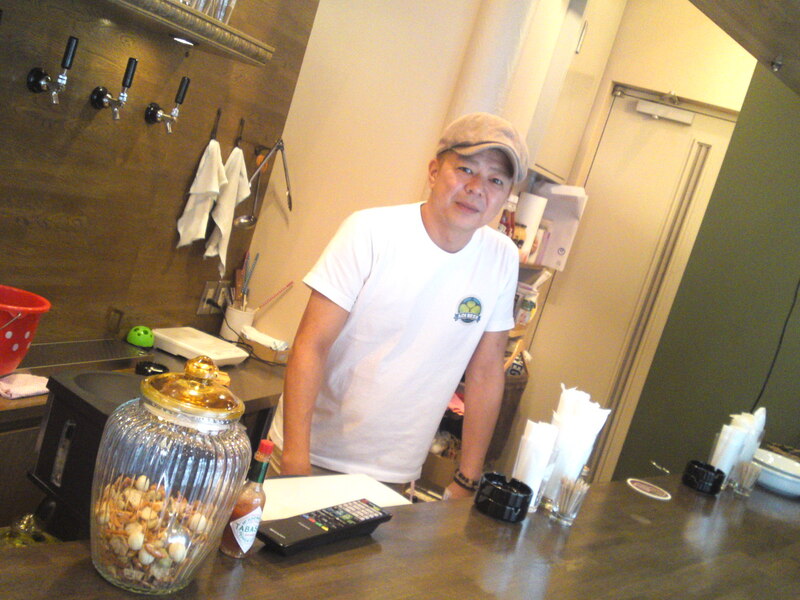 Naoki Mando founded BECK Co. Ltd. 4 years ago which firts included Mando Bar, Growstock Bar, Cherry Beans (sold since then) before opening Aoi Beer Stand in July this year. 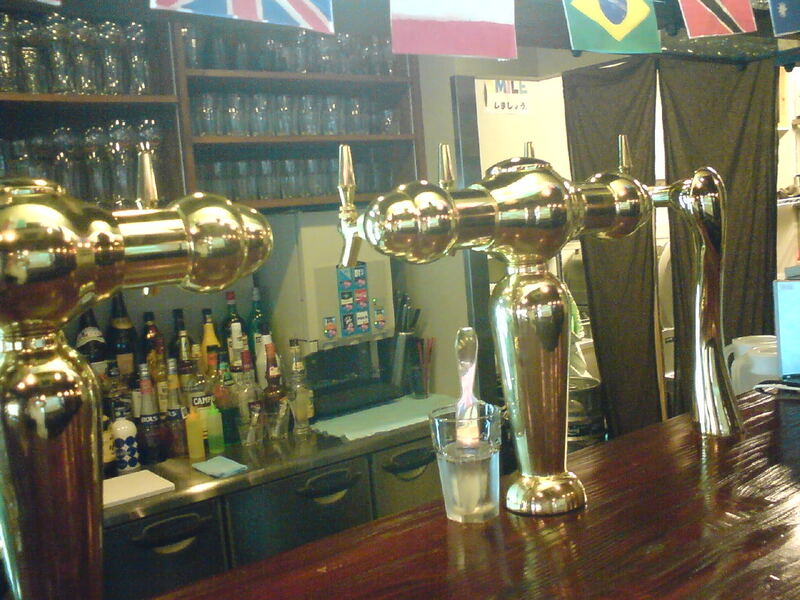 Everything but the final estate agency contracts to be signed has been made ready. 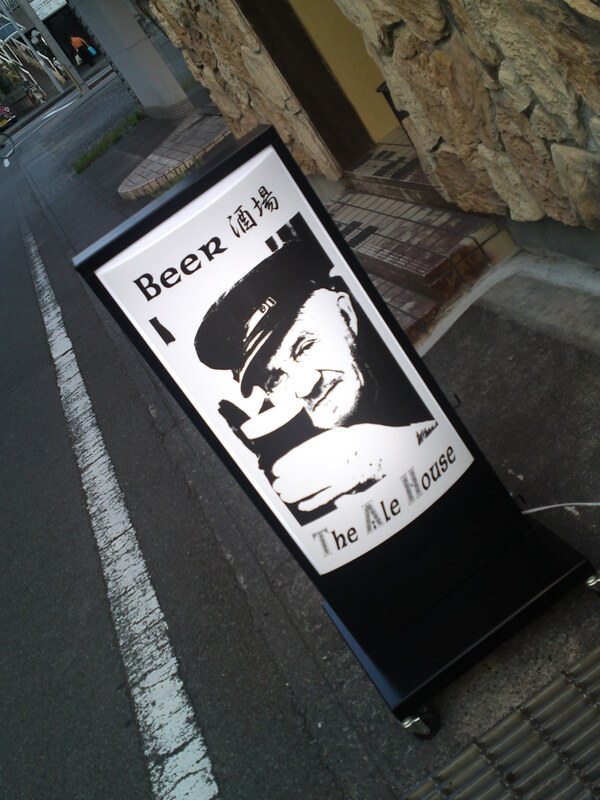 The experienced brew master. 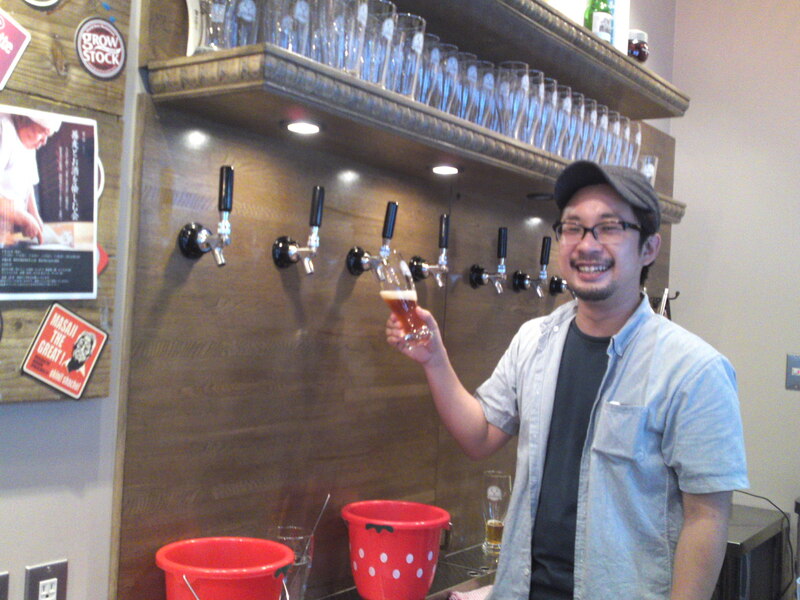 mr. Kouichi Taka, from Ibaraki Prefecture, has been recruited from NEST BEER Co.
Aoi Beer craft beers will be served at the tap at Aoi Beer Stand, Mando, Growstock and in other establishments and marketed in and outside town. 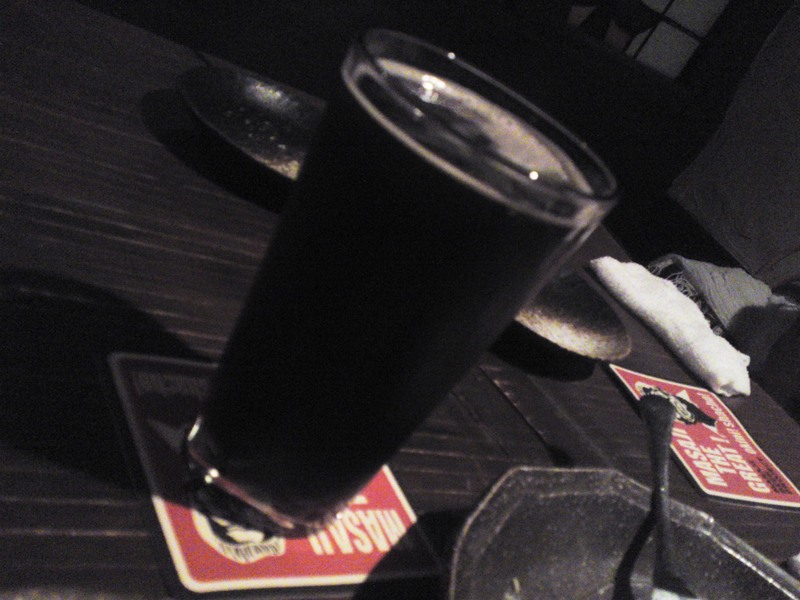 Hansharo Porter from Kuraya-Nagasawa Brewery in Izu Peninsula! 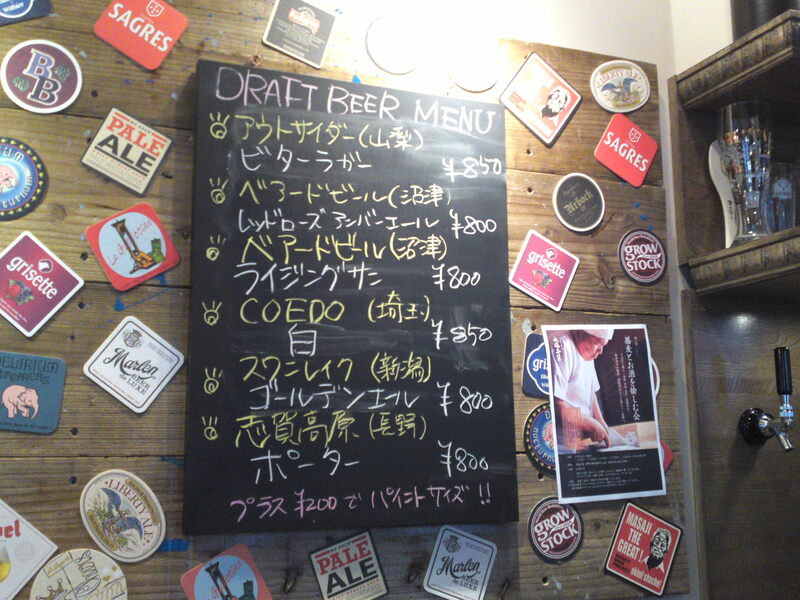 Naoki will continue offering other craft beers from the Prefecture on a collaboration basis while serving at least 4 of his beers on the tap. 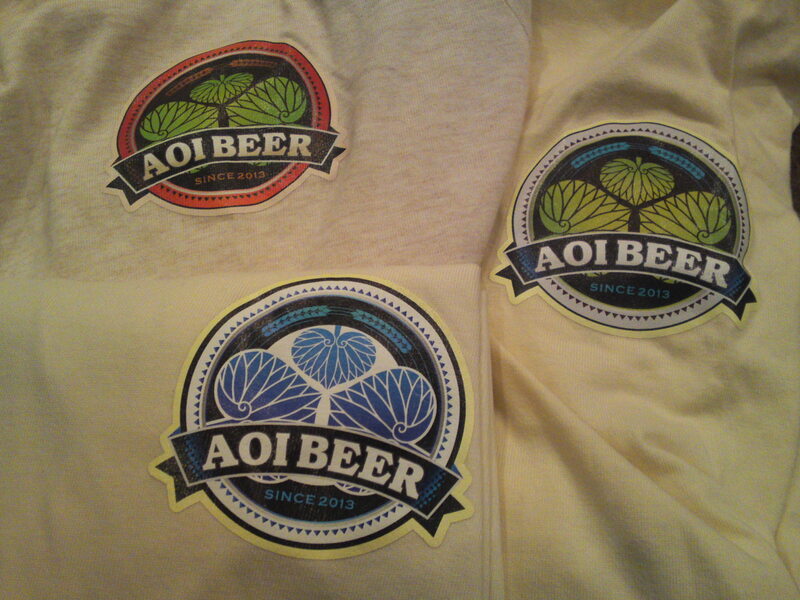 Among the regular and seasonal/limited beers he plans to offer next year one will have the pleasure to taste white beer, IPA pale ale and a novelty, kikuimo Beer! 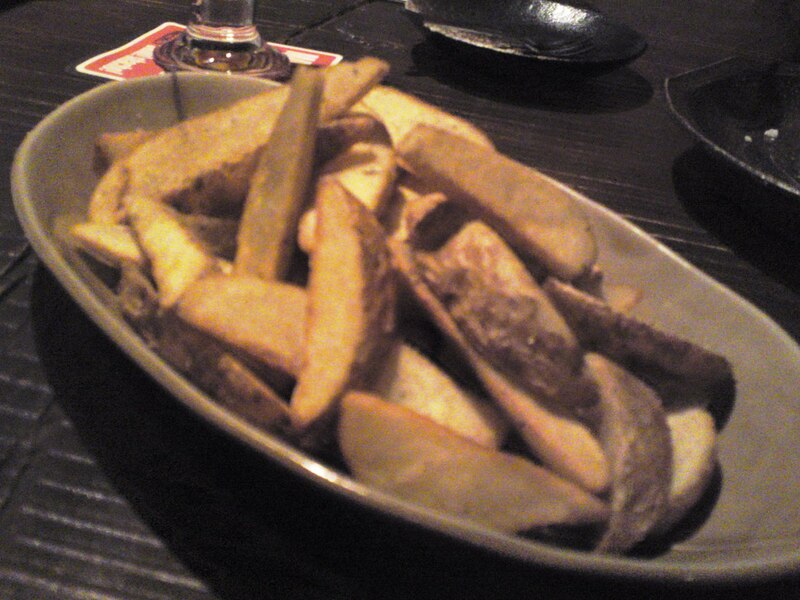 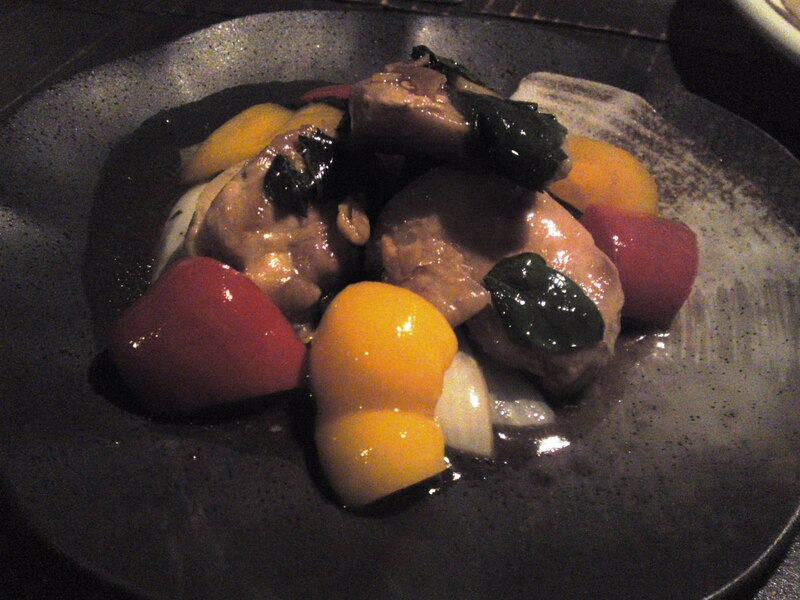 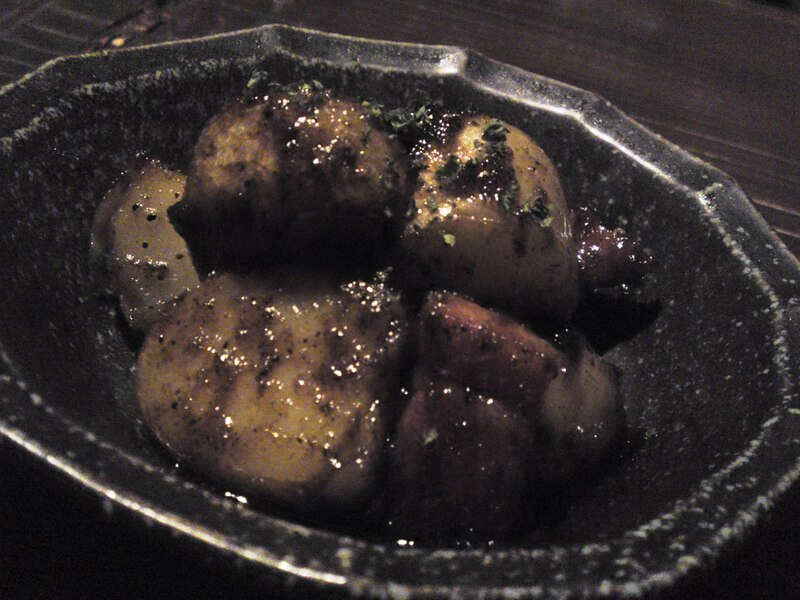 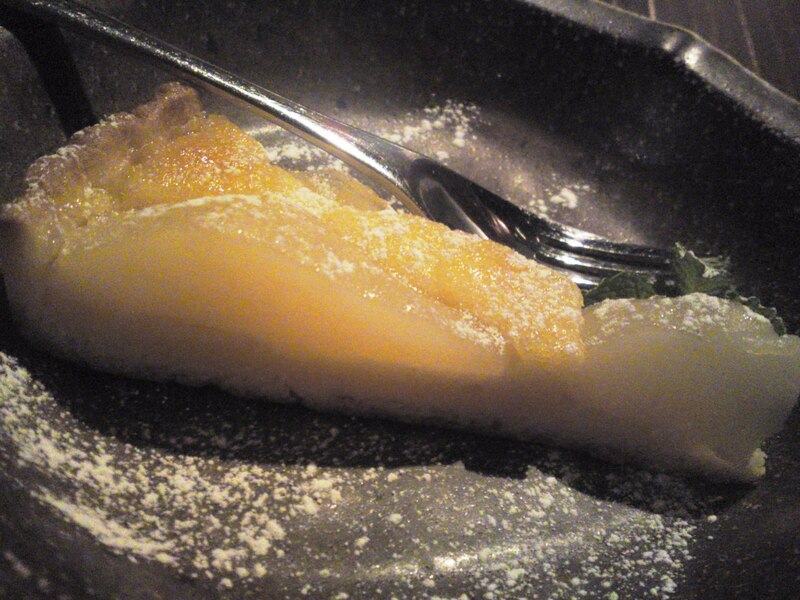 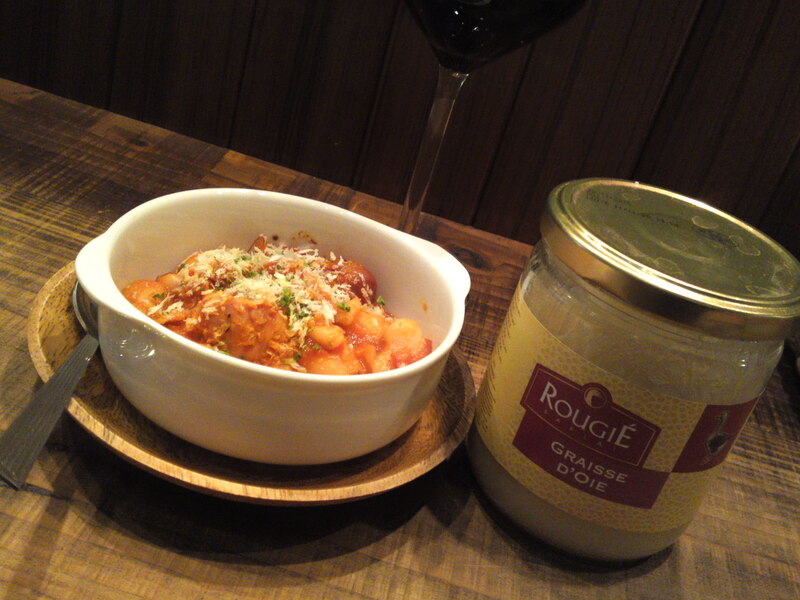 Kikuimo/菊芋/is Jerusalem artichoke in English or Topinambour in French. 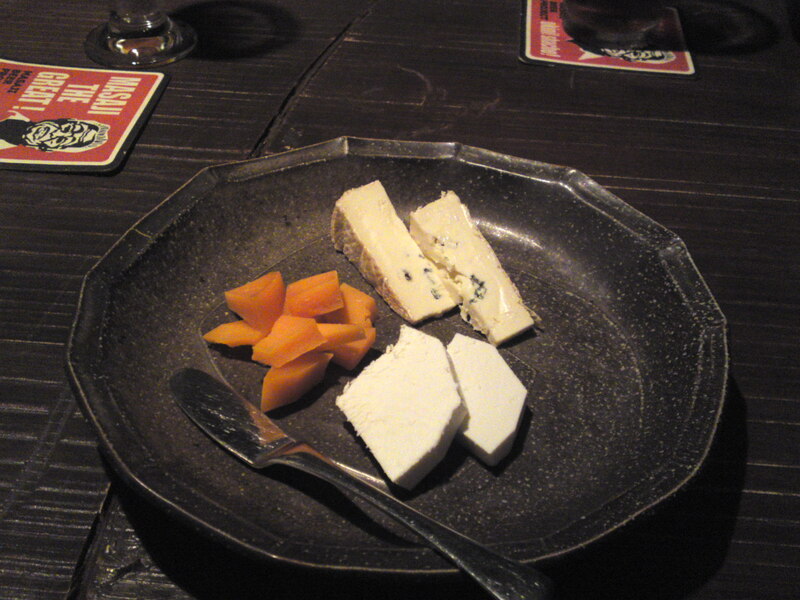 The concept is not only new but so interesting because kikuimo has been confirmed as natural medicinal plant effective for treating diabetes! 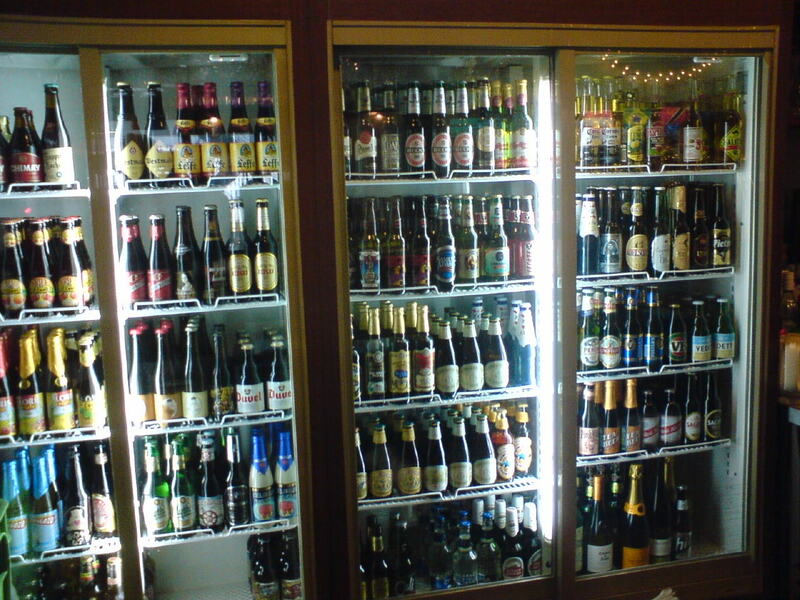 Which means that Diabetics will have a beer to enjoy at last! 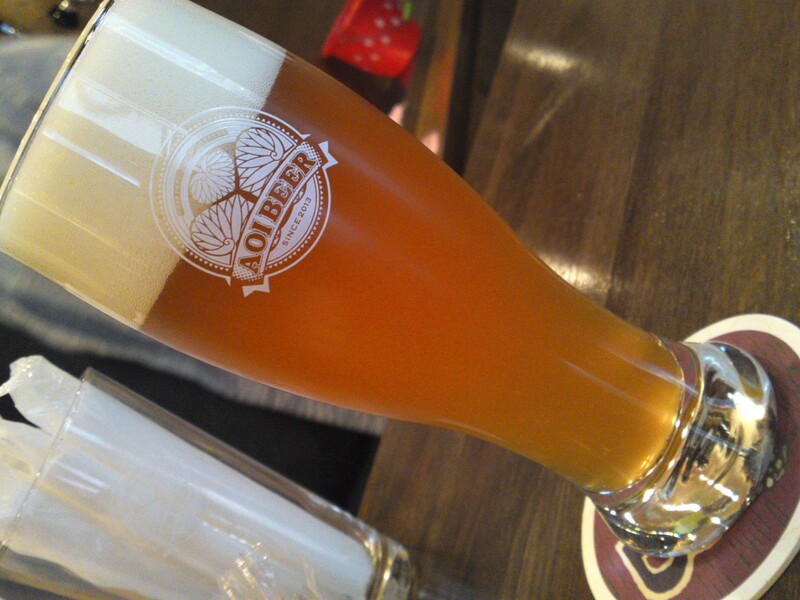 Considering that craft beer breweries in our Prefecture are concentrated in the eastern and western part, having a new brewery right in the middle in Shizuoka City will at last fill a space for the pleasure of all true beer lovers! 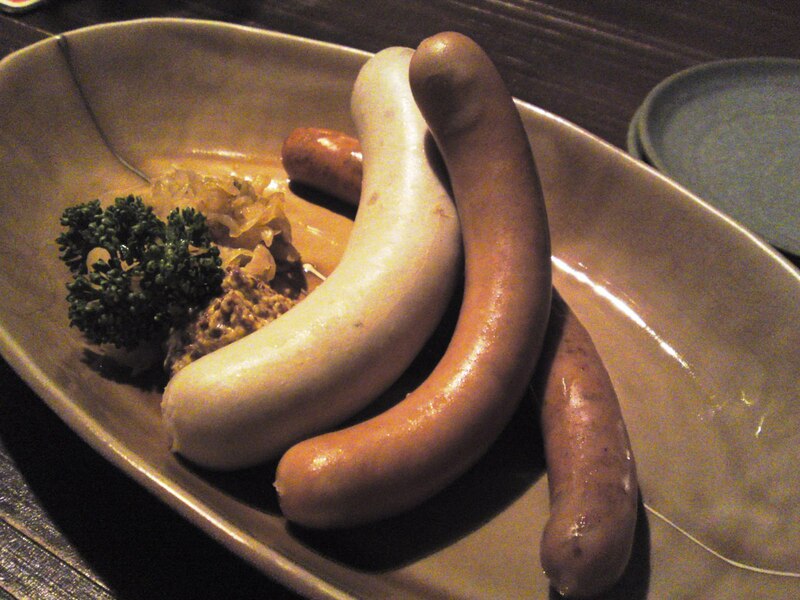 Soon, as the sites have seen quite a few changes during the past year I will report anew on Mando, Growstock and the Oktober Fest events held there! 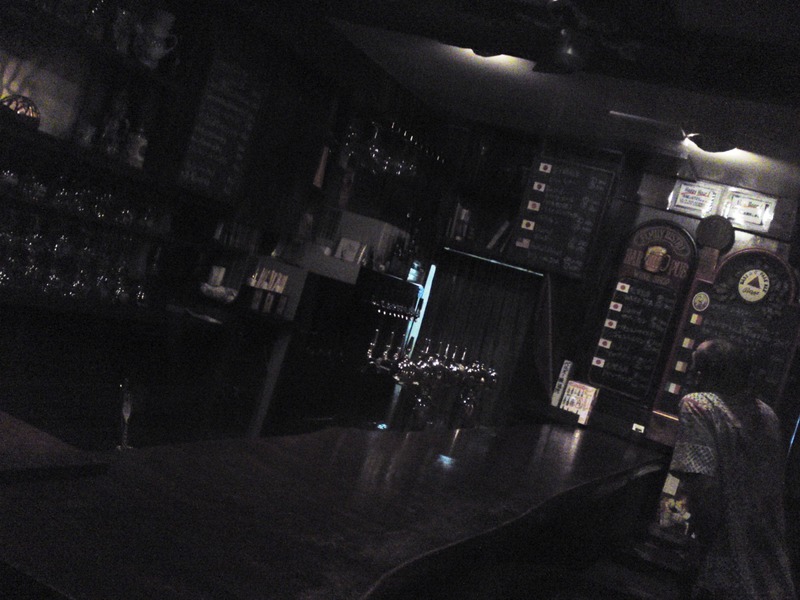 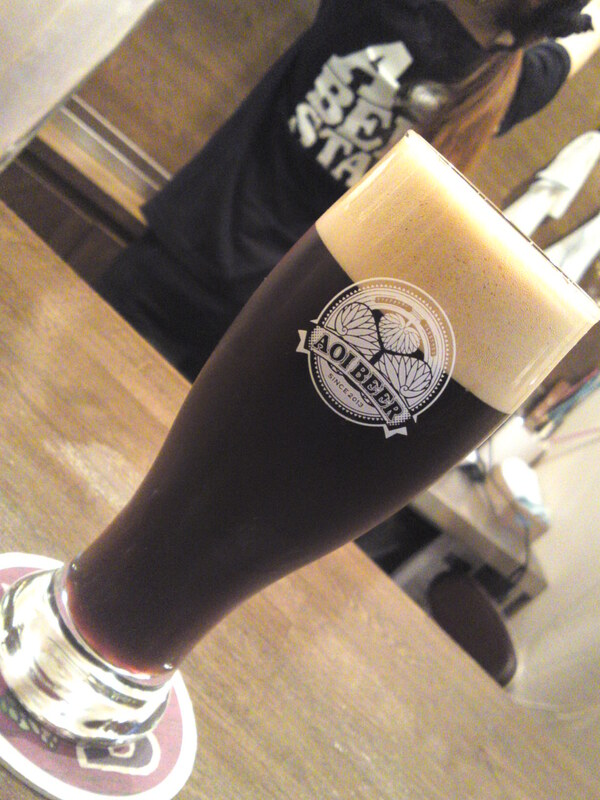 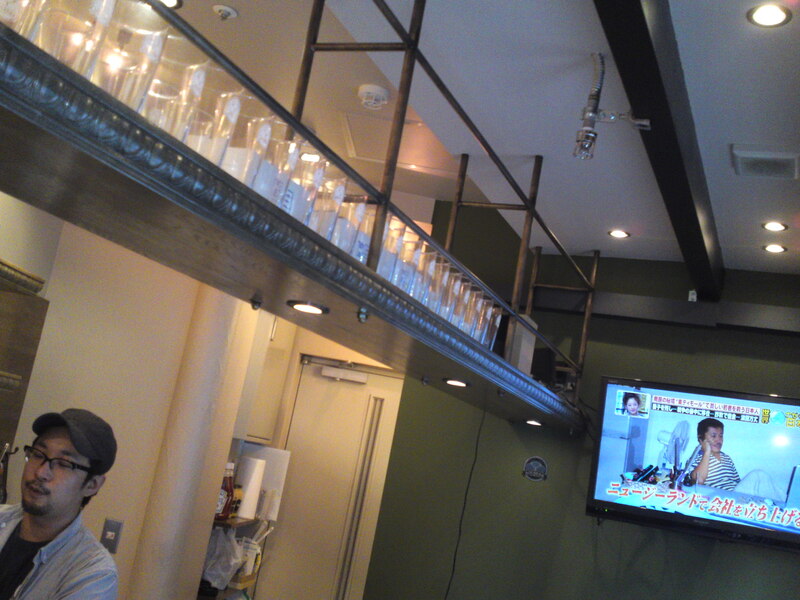 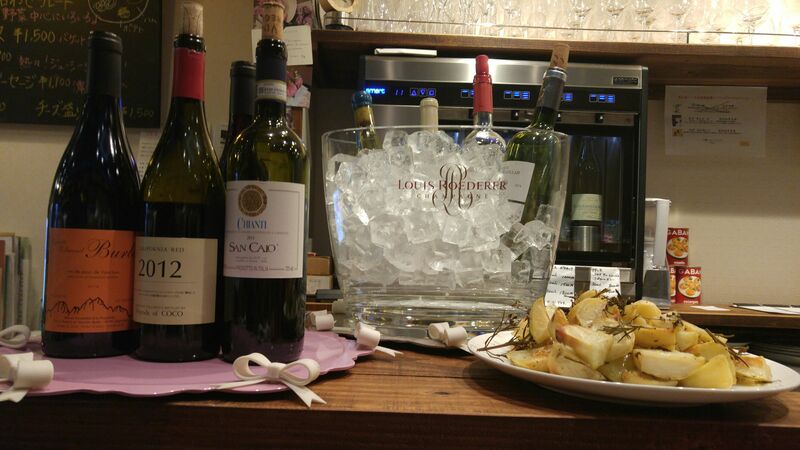 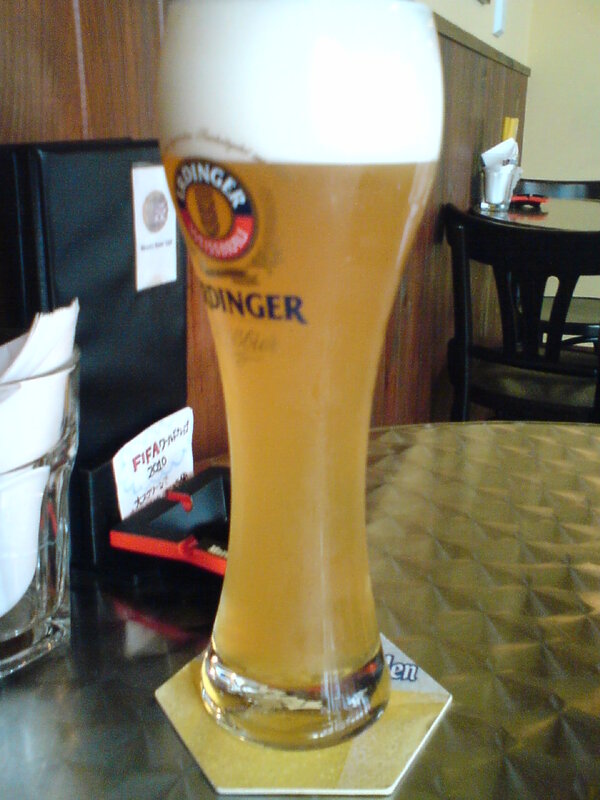 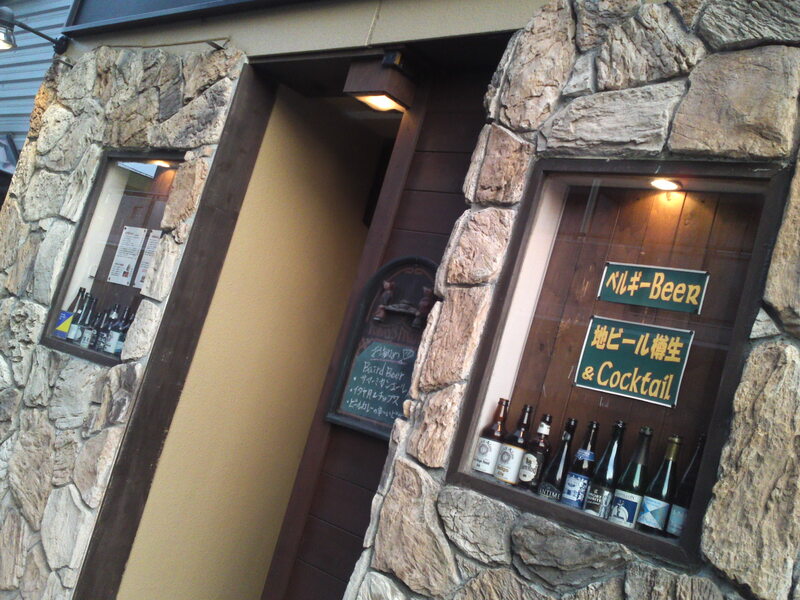 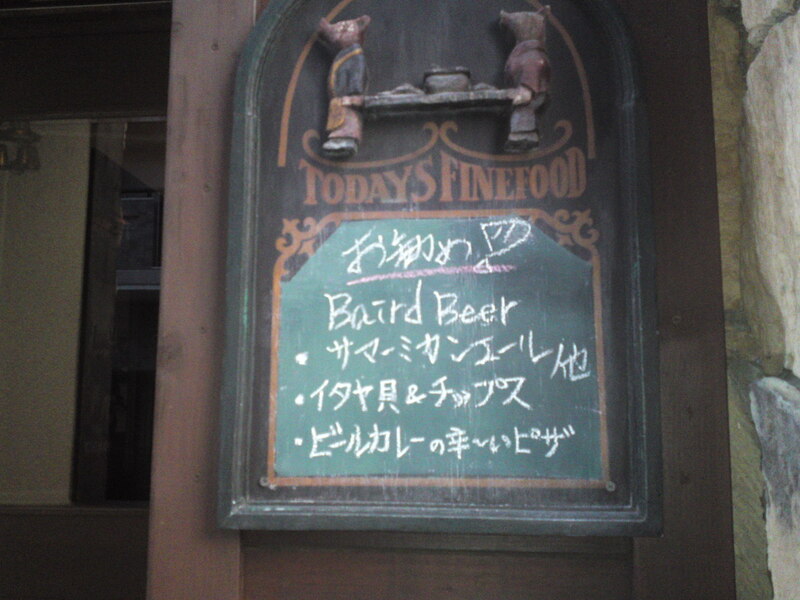 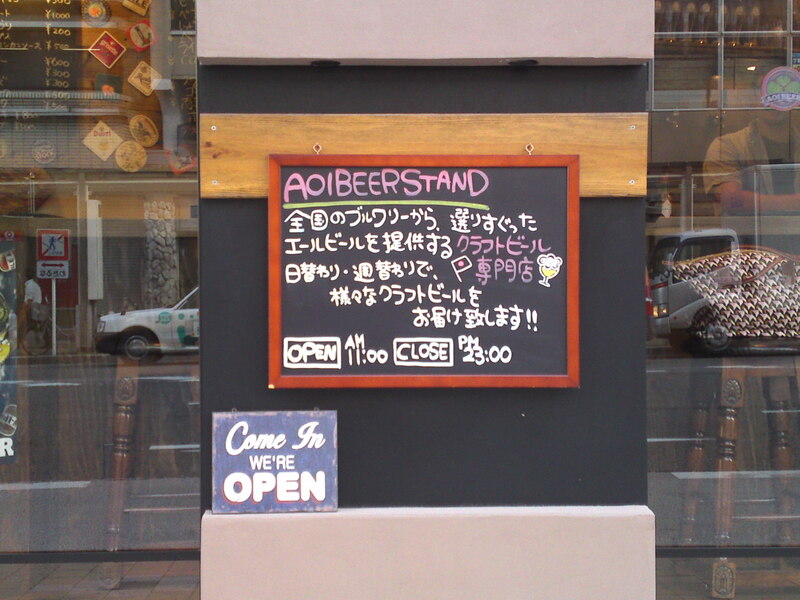 Beer Standing Bar: Aoi Beer Stand in Shizuoka City! 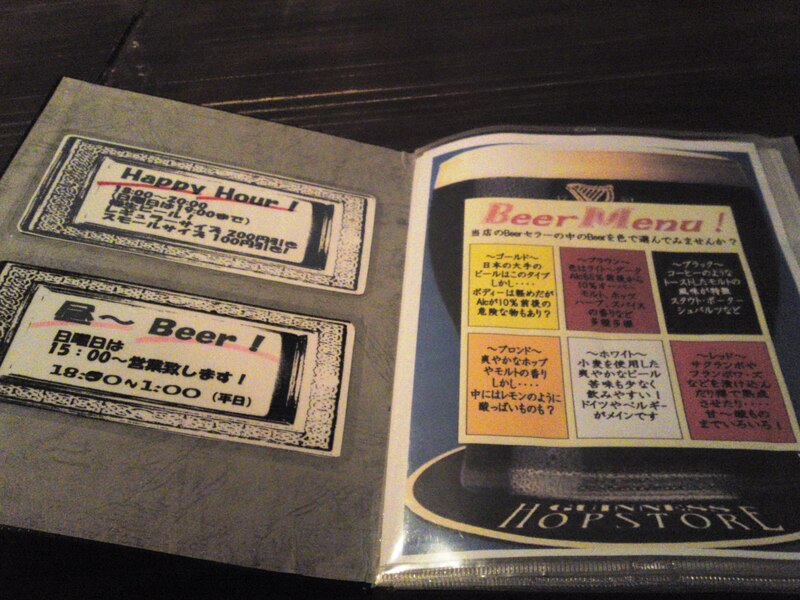 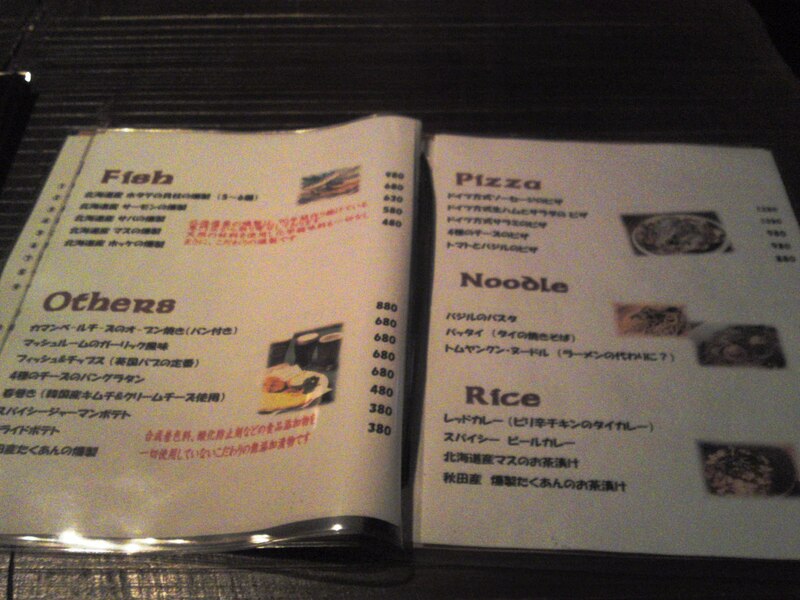 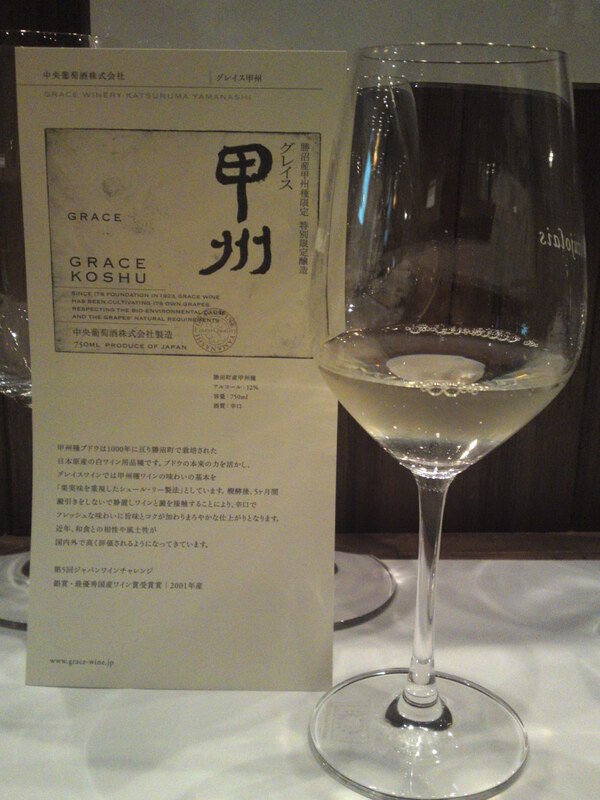 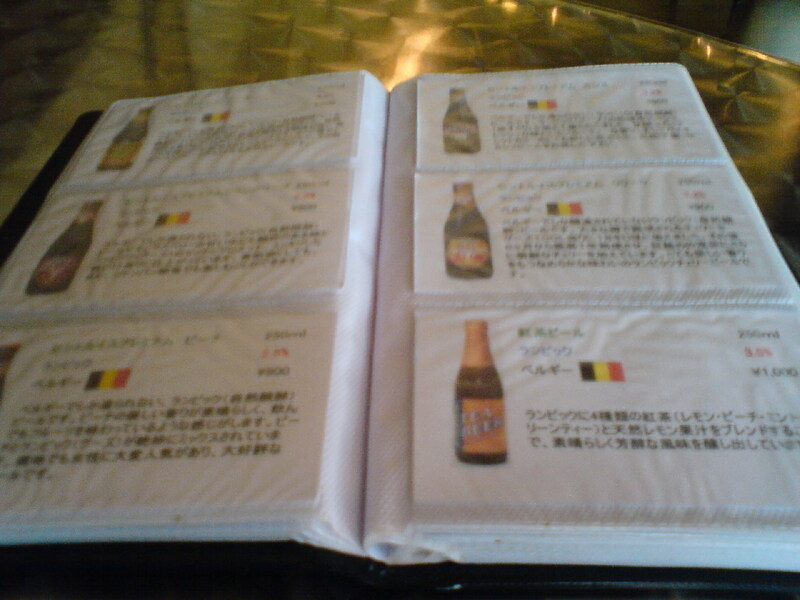 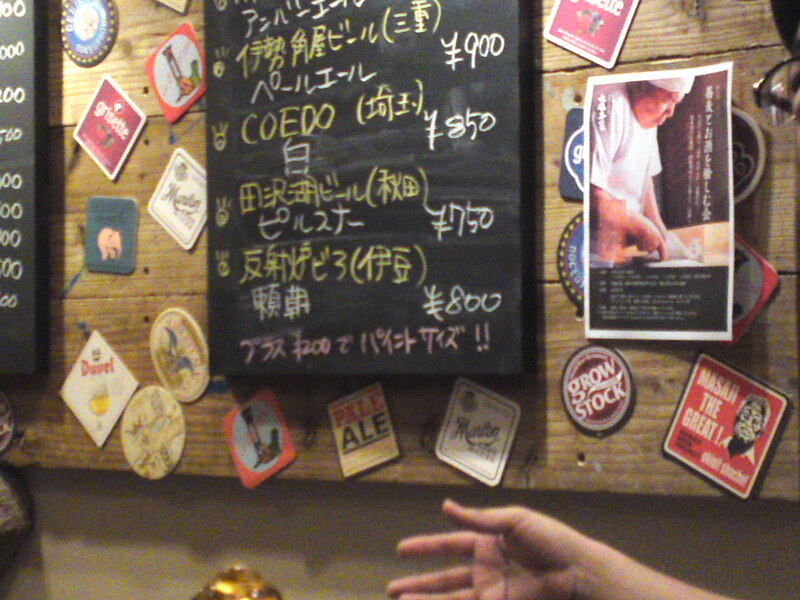 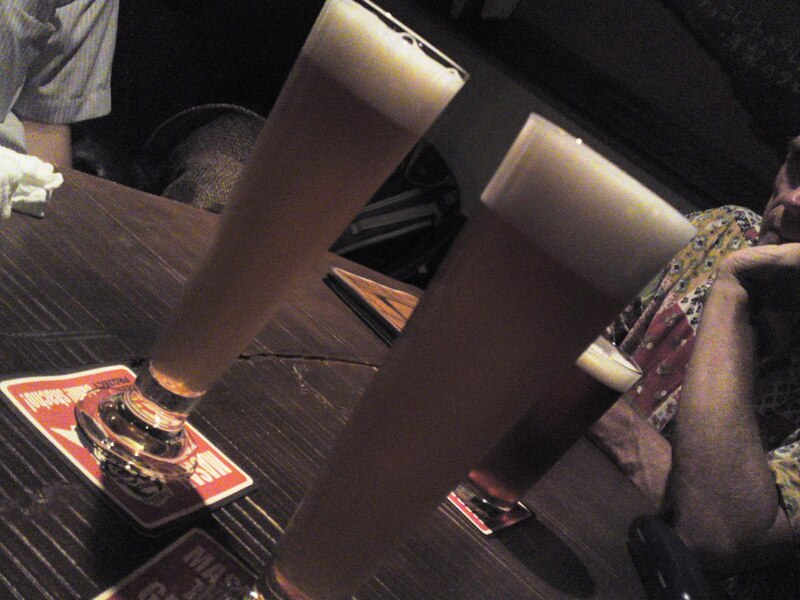 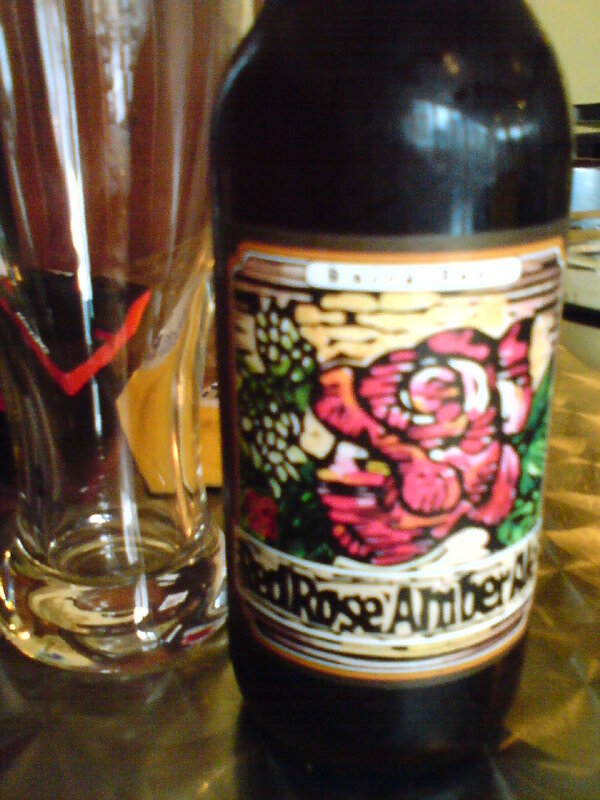 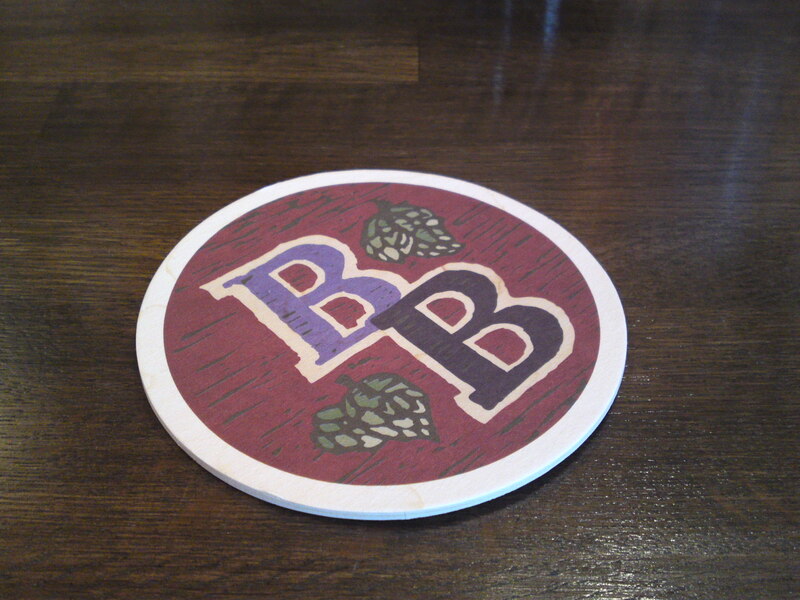 For the moment they serve 6 craft beer from all over Japan (changing regularly), including 2 from Shizuoka prefecture. 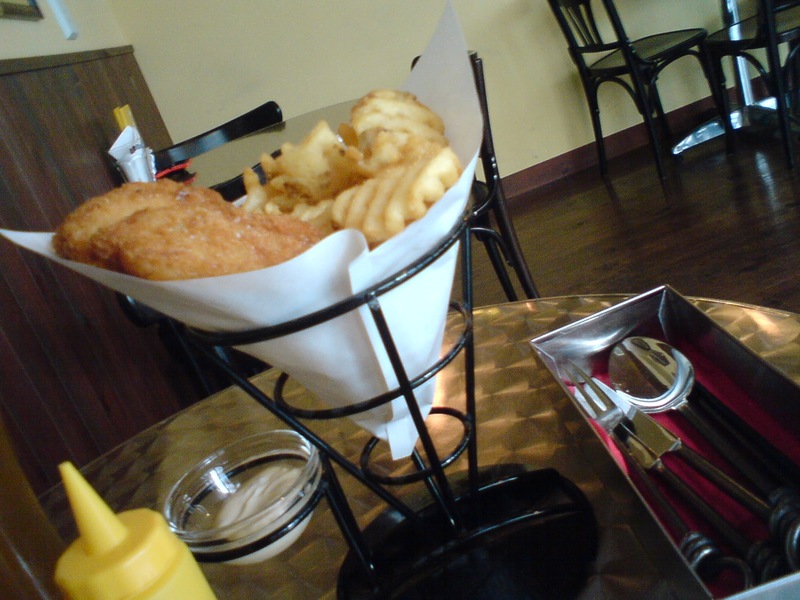 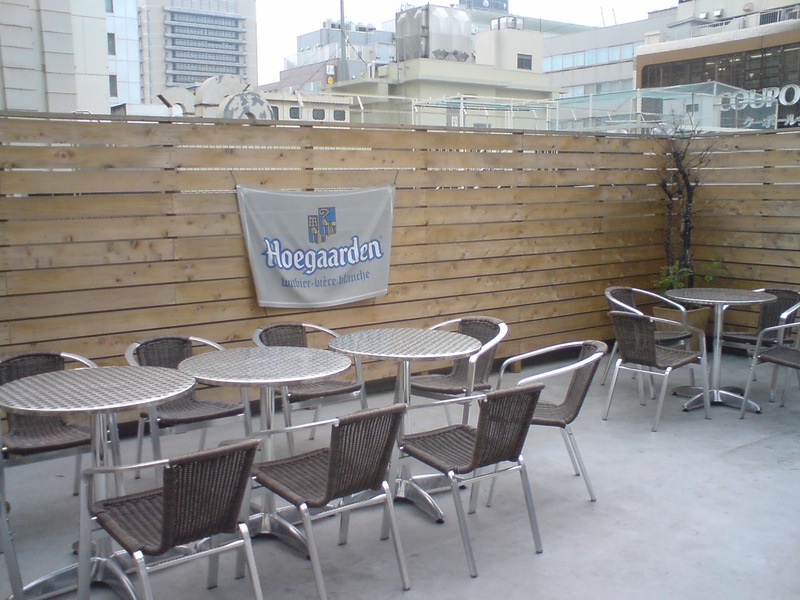 Although the place can sit 6 people on high stool, the moment you have reached 7 guests the stools are pushed under the bar counter and you drink standing on some crowded nights patrons can be seen drinking standing on the pavement! 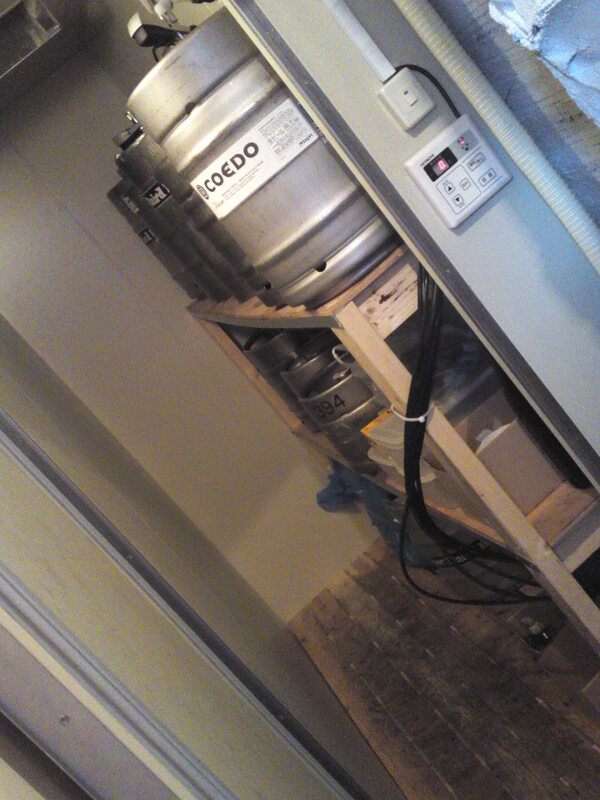 The door inside on the left does not lead to a washroom (which is located inside Den Building) but a minuscule cellar for the beer kegs as all beers are served draught! 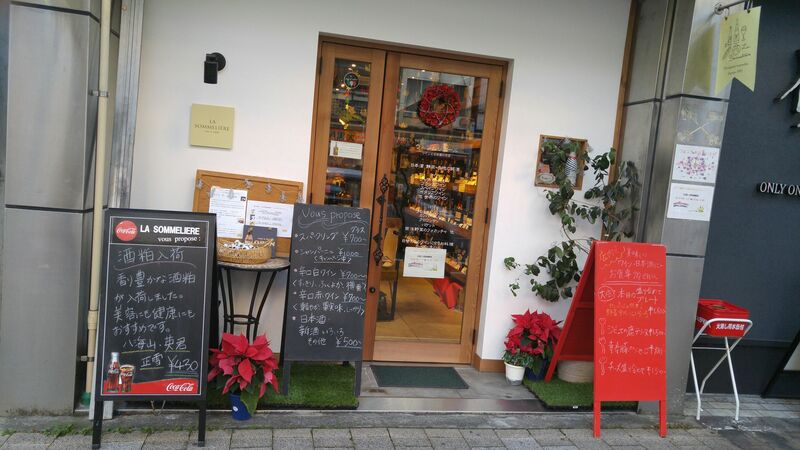 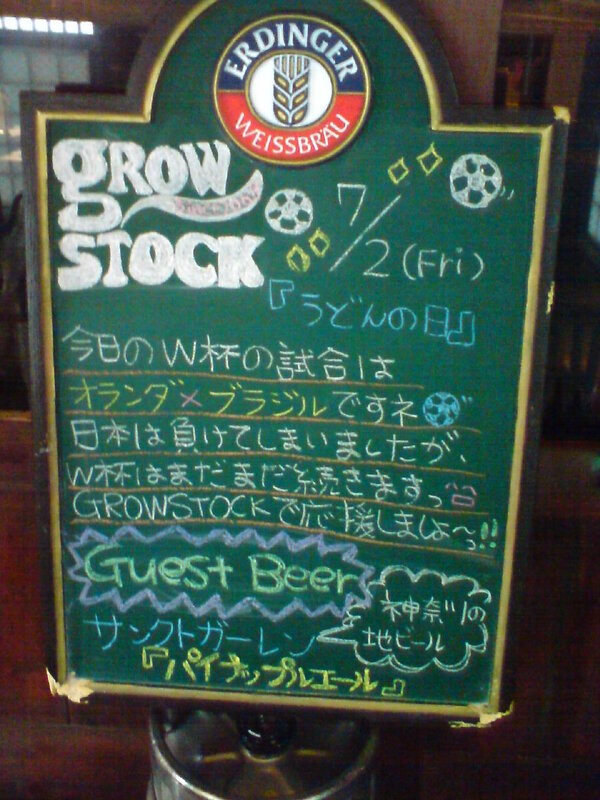 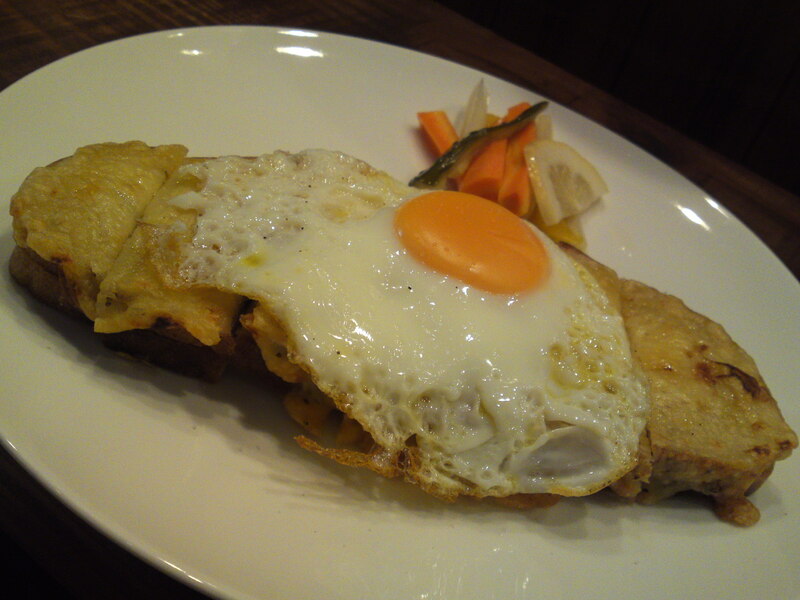 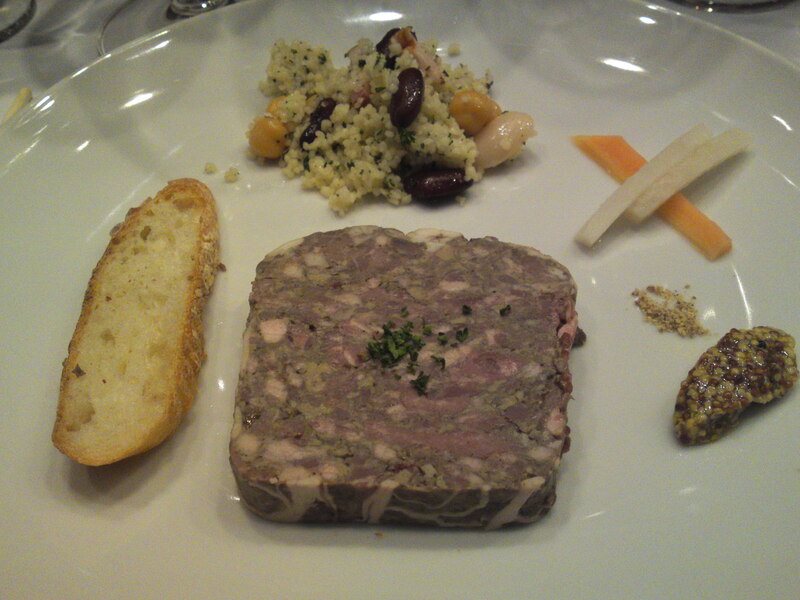 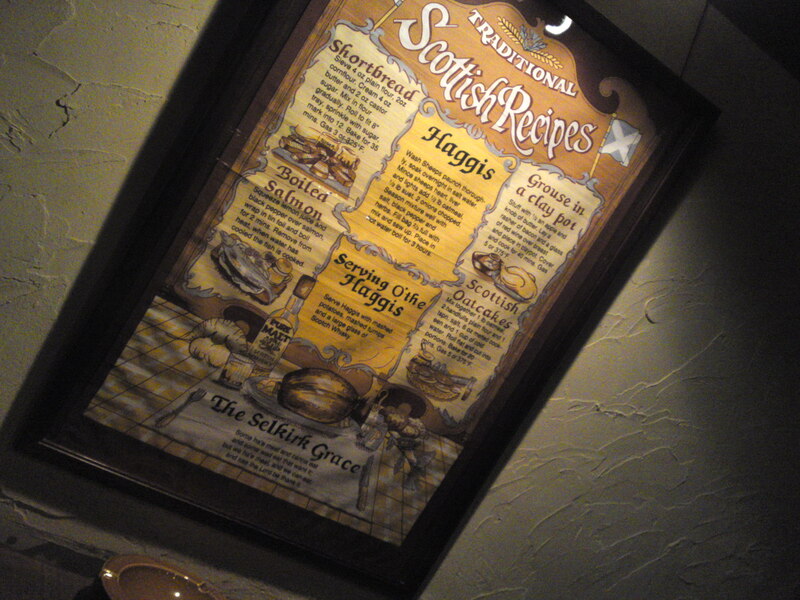 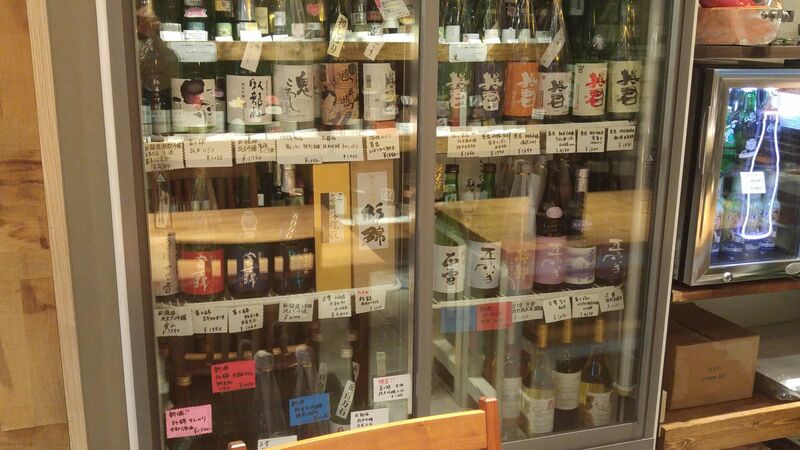 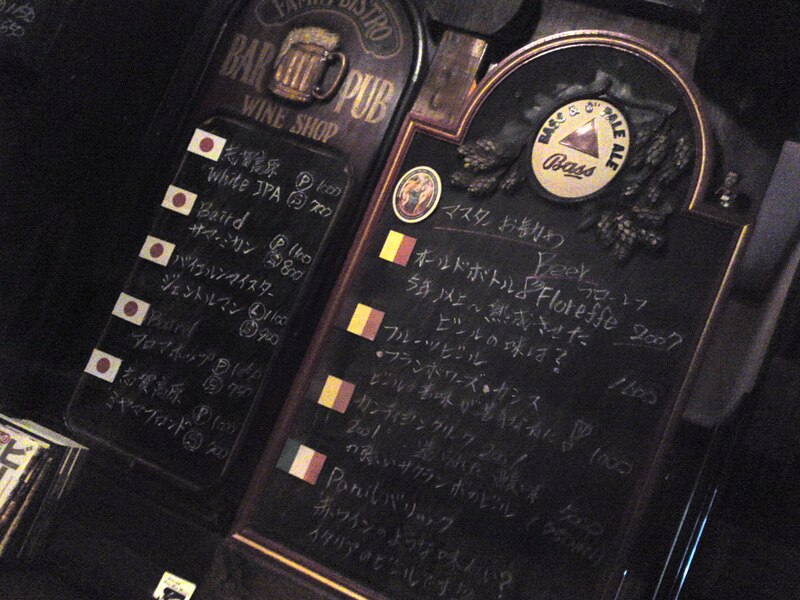 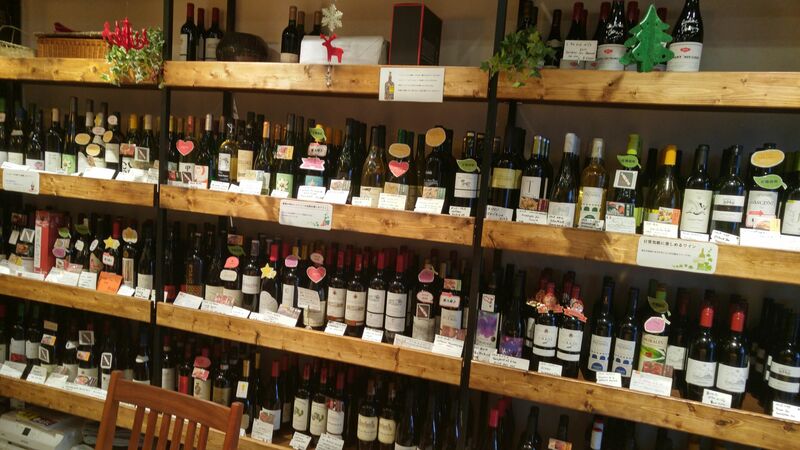 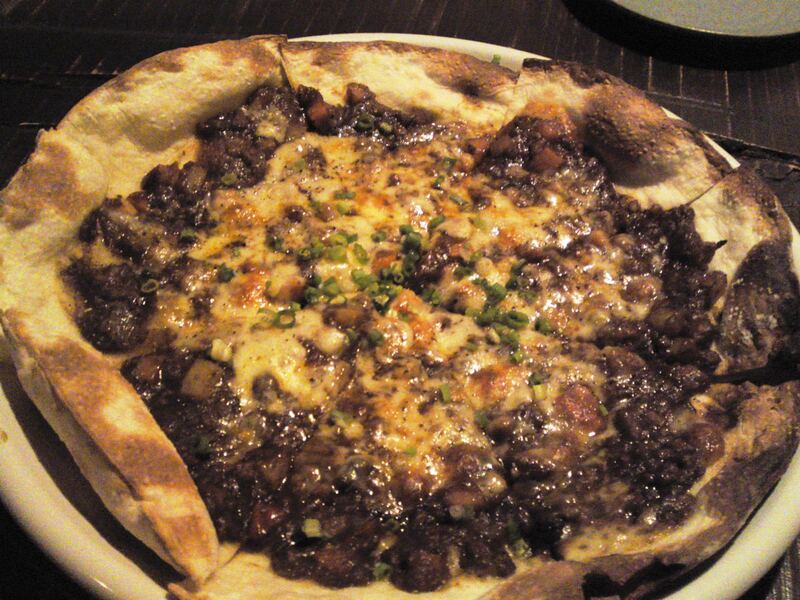 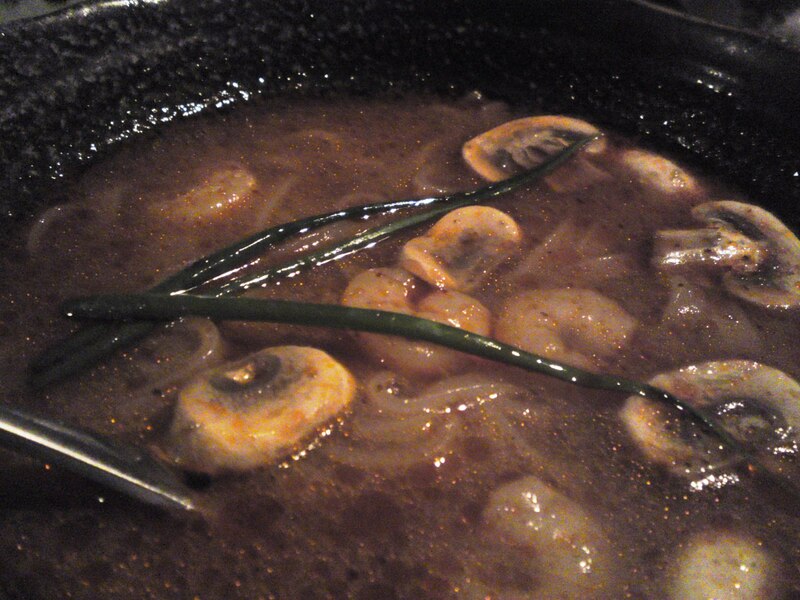 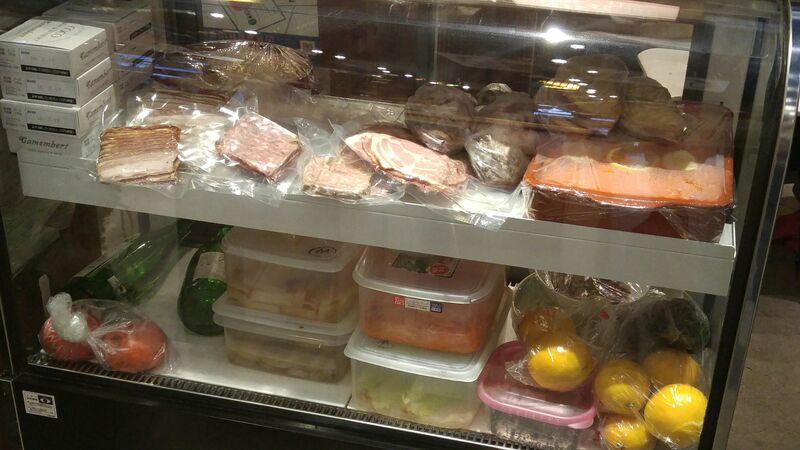 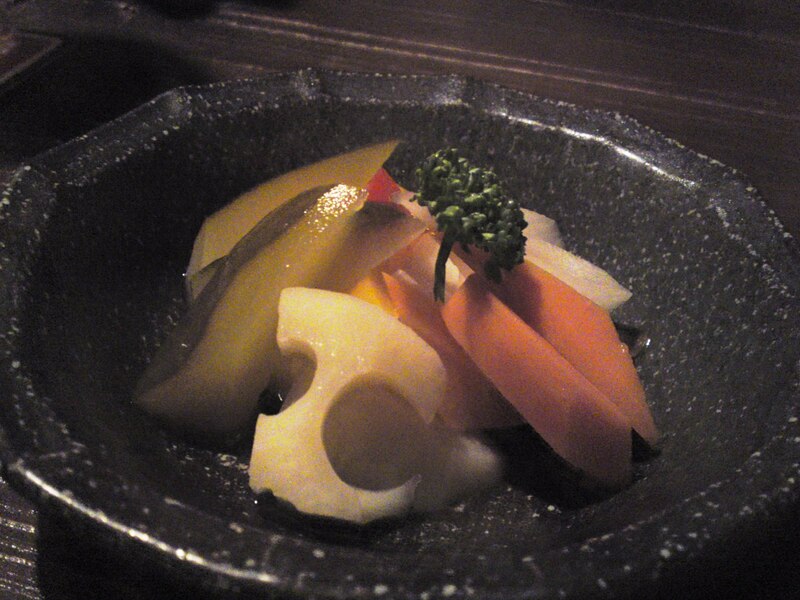 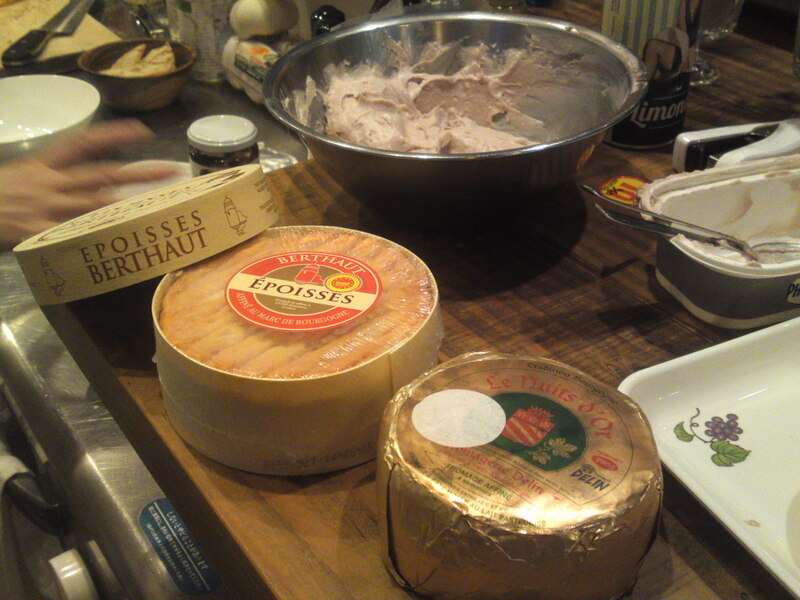 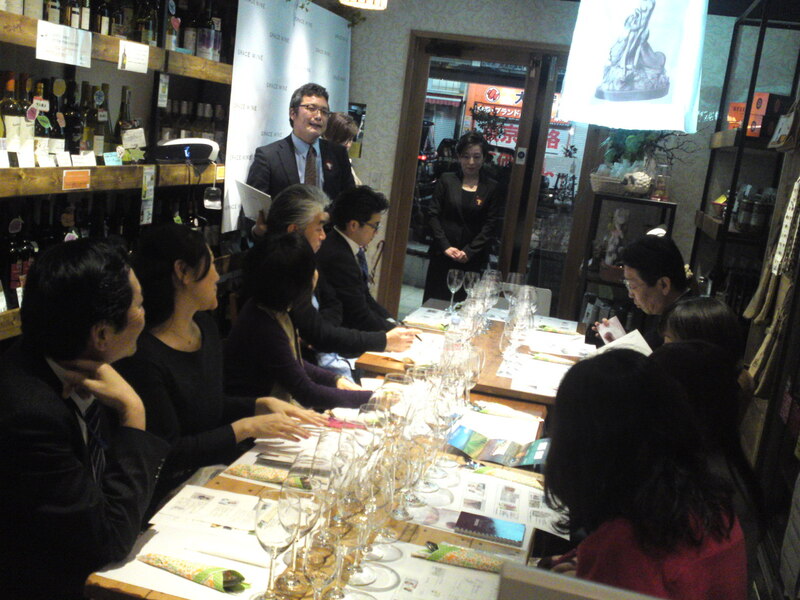 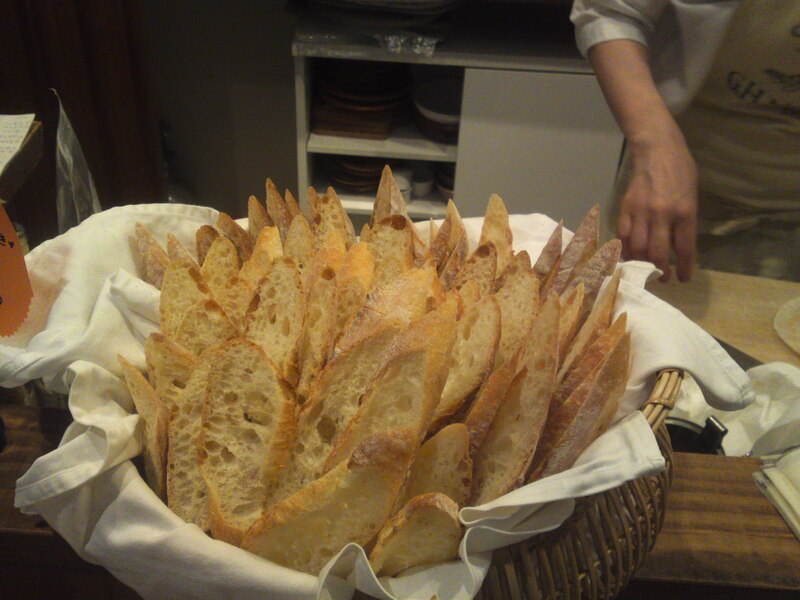 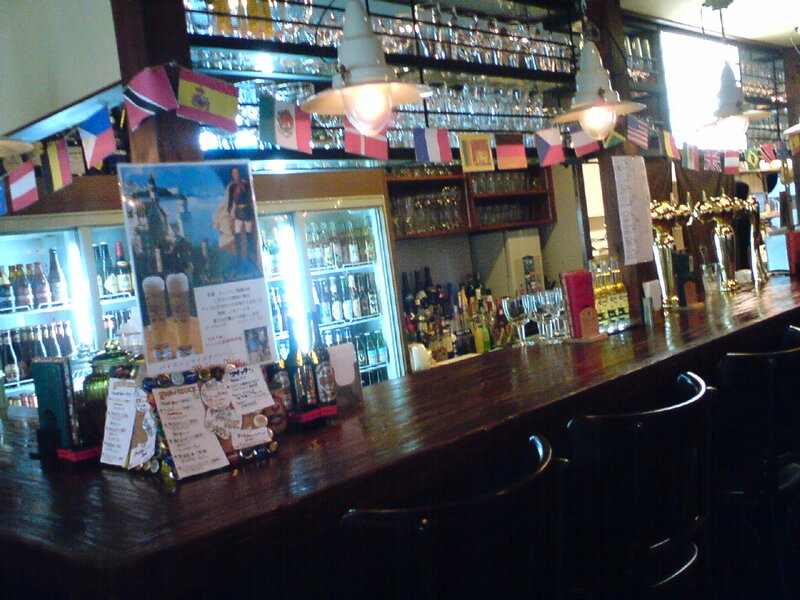 Shizuoka Bars/Pubs: Grow Stock in Shizuoka City!